How do you summarize Andrei Kirilenko’s Utah Jazz legacy? How can you summarize the career of a player who by his own admission never lived up to an $86-million contract extension yet finished his Jazz career 2nd in blocks, 4th in steals, 5th in assists, 7th in rebounds, 6th in scoring and perhaps most impressively 3rd in value over replacement player (behind Karl Malone and John Stockton). How do you summarize the character of a professional athlete who made over $100 million in his NBA career yet also literally cried to the media during a playoff series because he cared so much about his lack of contribution? How can you summarize the accomplishments of a player who made an All-Star game just once – but did so as a 22-year old leading one of the most popular Jazz teams ever (a cast of rag-tag journeyman and afterthoughts) to a shocking 42-40 record? How can you summarize the statistical legacy of a player who only scored 30-points twice in his NBA career yet also posted three “5×5” games – a feat accomplished just 4 other times (by 4 different players) in the past 20 years? How can you summarize the historical legacy of a player with a skillset that probably came along 6 years too early (or 6 years too late) and yet is the only Jazz player to play with Stockton&Malone, with Dwill&Boozer, and with Gordon Hayward and Derrick Favors? How do you summarize 10 years of highlights, injuries, expectations and box-scores into one simple cut-and-dry article telling everyone how they should feel and regard Andrie Kirilenko’s 10-year career as a Jazzman? On draft night AK47 was introduced to the Jazz and the NBA without a picture and without any solid scouting report aside from the late Rick Majerus’ tidbit that he was “nicknamed the white Dr. J.” Although Andrei Kirilenko came to the Jazz without much fanfare and departed from Utah (and later the NBA) just as quietly, perhaps no player in Jazz history ever had the level of extremes AK47 did in his 10 years in Utah. As a result, Andrei Kirilenko’s final impression will be different for each Jazz fan who experienced, received and accepted each moment throughout his career differently. Some reflections will be rooted in emotions from the way he brought fans out of their seat with above-the-rim play that was at the time a Jazz rarity. Others will be from the emotional frustrations to injuries that seemed to occur everytime the Jazz appeared ready to take that next step. More from data-mining his statistical impact in so many different areas. And hopefully others will be based in the refreshing genuineness of a talented professional who grew up in front of our eyes from a 19-year old with little exposure to American culture to a family man balancing cultural acclimation while remaining true to his native country and his own unique self. 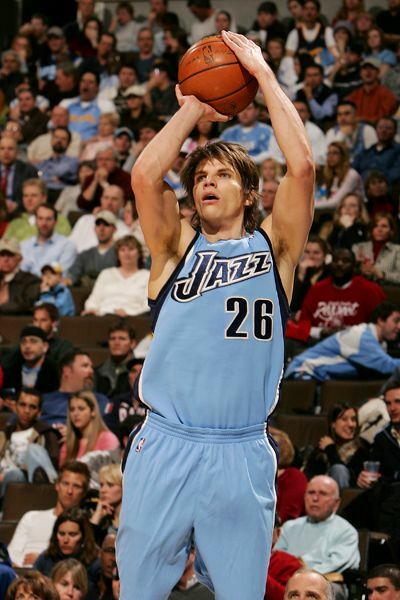 Maybe Kirilenko should have spent more time developing his three-point shooting but I think it’s no coincidence the Jazz’s two best offensive seasons of the DWill/Boozer era came during Andrei’s best 3pt-shooting seasons. Maybe he played out of position but much of that is based in myth that he primarily played PF during his all-star season (he didn’t) and fails to account for the style and personnel of NBA frontcourts during those years. Maybe he should’ve played more games but how can you truly judge someone who at 6-9 could do things maybe 15-20 other athletes in the world could do for having their body hold up differently than you would have hoped? When I think back to Andrei Kirilenko – I think of the plethora of positives and the myriad of highlights. I think of the way he fought back after his breakdown in the 2007 Playoffs to be a major contributor posting Pts/Reb/Ast/Blk/Stl playoff lines of 14/5/4/5/3, 13/7/4/7/1, 20/9/5/6/1, 15/5/5/3/0, and 21/15/1/0/3 while filling in at times at PG to help the Jazz advance to the Western Conference Finals. 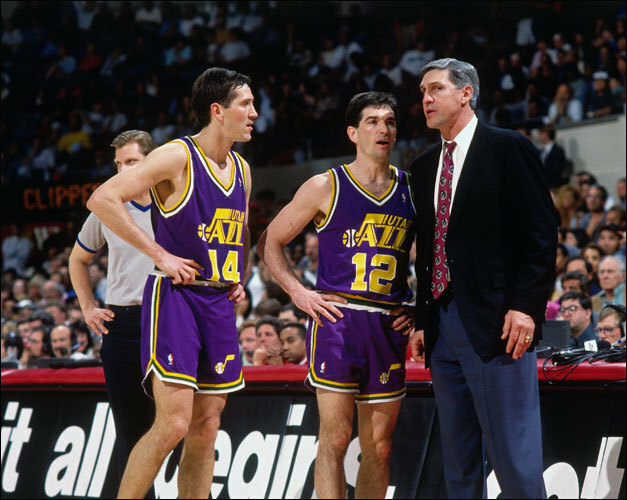 The gifted passer, the defensive roamer who Hot Rod nicknamed “The Cat” for his quickness and Danny Ainge called “Inspector Gadget” for his arms, and the swiss-army knife who could make any play at either end of the court. Through all the extremes, I view the journey and Andrei Kirilenko’s Utah Jazz legacy as extremely positive.